EXTRA VIRGIN OLIVE OIL P.D.O. VENETO VALPOLICELLA - 500ml - Fontanara S.r.l. 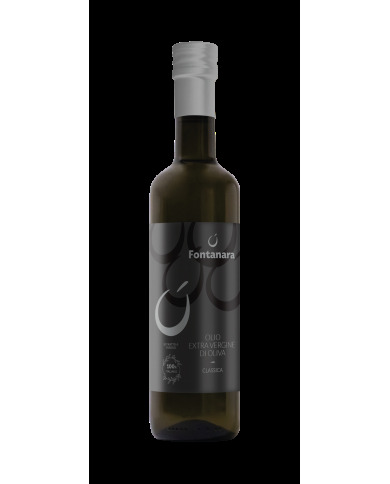 Fontanara Valpolicella PDO is made exclusively from olives grown in the prestigious Valpolicella, near Verona. An area particularly suited to the production of very high quality oil. In order to avail of the indication “Veneto Valpolicella PDO“ it is necessary that all plants are certified and all those involved have to respect the strict regulations of the Consortium. PRODUCTION AREA: Valpolicella in the province of Verona. FOOD-PAIRING: Particularly suitable with succulent food, sausages, salami and cheeses. Its citrus scents, slightly pungent and bitter, give balance to flavorful dishes.